Rogers & Moss is a full service law firm with over 60 years of combined experience. What makes Rogers & Moss stand out from other law firms is the dedication that Bruce and Jayme put forth towards each and every individual client. A personal connection with your attorney is extremely important and Bruce and Jayme pride themselves on making this happen. The attorneys at Rogers & Moss provide the highest level of service and loyalty to our clients. We listen to your individual needs and strive to meet them with integrity and vigorous representation. We are not afraid to litigate your case to the fullest extent necessary - both Bruce and Jayme have spent many years inside courtrooms and arguing to juries. Whether you need assistance negotiating a property lease, drafting a will or find yourself facing criminal charges, Rogers & Moss is here to help. Call us today and see what we can do for you. Jayme Moss has been practicing law for over 13 years. Jayme began her career in the Denver office of the Colorado Public Defender. As a public defender, Jayme’s practice spanned a full range of criminal cases. Jayme spent a full year litigating DUI and domestic violence cases. Jayme’s remaining two years as a Denver Public Defender were spent litigating felony drug cases, sexual assaults, burglaries, kidnappings and homicides. In 2005, Jayme left the Colorado Public Defender and began working for a boutique civil litigation firm in Denver specializing in complex civil litigation. Here Jayme worked in both state and federal courts litigating toxic tort matters, insurance coverage cases, employment discrimination and wrongful termination cases, and a wide variety contract disputes. In 2008, Jayme joined the Boulder firm, Laszlo & Associates. Here Jayme focused her attention primarily on criminal defense cases, from misdemeanors to serious felonies. Jayme also litigated several personal injury cases as well as medical malpractice cases. 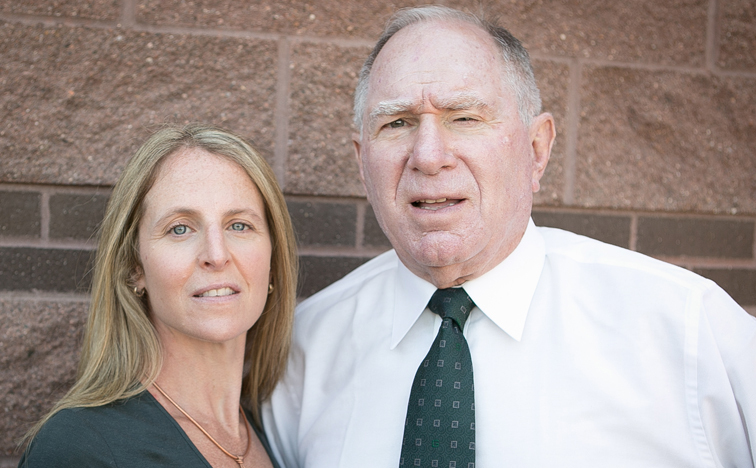 In January of 2013, Jayme decided it was time to open up her own practice with her partner, Bruce A. Rogers. Jayme continues to focus her attention on criminal defense. Jayme received her undergraduate degree in English Literature from Colorado State University. In 2001, Jayme received her Juris Doctorate from the University of Denver College of Law, where she received several awards for top academic performance. Bruce Rogers has been practicing law for over 48 years and is currently the managing partner at a very successful law firm in New York as well as a partner here at Rogers & Moss. Bruce splits his time equally between New York and Colorado. Bruce focuses his practice on Will, Trusts, Estate Planning and Administration, Commercial Leases, Real Property Planning and Zoning, All Aspects of Real Estate Sale and Development and Corporate Counsel. Bruce is licensed in both New York and Colorado.